There are many benefits to writing a Business Plan. Use my Two Page Mini Business Plan program with fill-in-the-blanks templates and E-Course! You would pay over $3000 to learn this information if you coached with me for my minimum 6-month commitment! What’s the program worth? It’s PRICELESS and I’m practically giving it away! This two part article describes my mini plan program and the second part discusses Benefits to Writing a Business Plan. 1. Short and to the Point! An effective plan doesn’t have to be thirty pages long. You can create several versions: a longer version with more detailed analysis that includes financial projections, the reason WHY you are in business, and a competitive analysis; the second version is a Mini Business Plan -on two pages with the action items you need to take. Your mini plan helps you take action in your business! Studies show that 77% of long, comprehensive Business Plans are PUT AWAY AND NEVER SEEN AGAIN. Do you really want to put all that work into a plan that you’ll never use? I don’t think so! What you want is key information that will help you plan for success. Your mini plan will help you focus! A Mini Business Plan will help you quickly identify the key strategies and activities that will help you grow your business, take action, and enjoy your freedom. Because the plan is concise, you are likely to review it more frequently, adjust your strategies, see how far you’ve come, and where you want to go next. Spend your free time doing what makes you happy! Let’s face it. We all need a little help getting things done. My Program includes a six day course delivered by email that will help you write your own plan in six simple steps. The motivation will help you get finished! Who knows what a good plan looks like? With my program you can review many sample Business Plans to see how it’s done. No more guessing! This E-Course is tailored to advisors. Coaches REVIEW THIS PAGE FIRST – This E-Course is tailored to coaches. You’ll receive a Word template and a PDF Template to help you write your custom plan. You will simply plug in your details and voila your plan is finished. Create a Road Map – rather than wandering about aimlessly, your plan will create a direction for your business. Can you imagine deciding to go on a European vacation, but without an itinerary? Would you fly into Paris and then figure out what to do? No! You would decide which countries you would like to visit, how long you want to be there and which cities to see and then you would create a plan. A Business Plan does the same thing for you. It gives you direction and purpose. 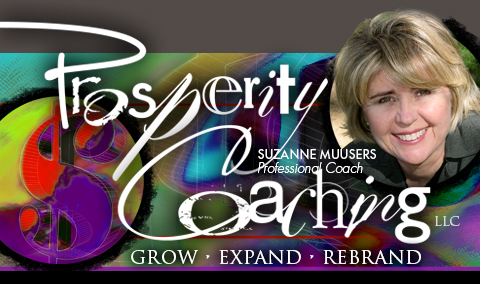 Goal Setting – I remember when I opened my retail store in Scottsdale Arizona in 1990. At first I wasn’t sure what I was missing. Then I realized I had not set any revenue goals for my business. I was just getting through the months without any motivation. There was no internet back then, so I went to the library and got a book on planning. Then I created my goals for the year. This made a big difference in my motivation and my results. It can make a difference for you too! Communication – one major benefit to writing your plan is communicating what you are all about. You have probably not given this any thought, but what is your vision for the future? Where do you see yourself going with your business? Will you always be involved in the same role or will you transition to being the entrepreneur and face of your business? What is the mission of your business? Who are you serving? Viability – is your business idea viable? Once you put it all down on paper, does it make sense? Will your business have the size of market and revenue to support you while you are in growth mode? For pre-existing businesses, is the growth you envision viable and realistic? Just the pure exercise of thinking about your business in this way will help you plan your success. Cash Flow – for an existing business, your sales in the past are a good barometer of what level of revenue you can expect in the future. If you focus on strategies that will grow the business, you are likely to improve upon the past and ask yourself "What is possible?" For new businesses it is near impossible to predict your level of income. Back to the point I made above about my new retail store – I had no idea that my first month in business I would only bring in $4000 in revenue. There were too many variables to allow me to adequately predict revenue. This may be the case in your own new business. You may need a one year period to judge when your "busy season" will be and what you can expect. Marketing – in my opinion, marketing is the single most important part of any Business Plan. If you can create a detailed marketing plan with a marketing calendar, you have a much better chance of succeeding. Marketing drives revenue. Never forget that! What are the actions you will take to build your business? How will customers find out about you? Where will you go to take your message? Branding – this is the second most important part of your plan. Too many businesses look alike. When you make the investment to brand your business, you set yourself apart. When you take the time to create your company values, mission statement, and TAGLINE, you impart to prospects what it is they receive in terms of a benefit from working with you. When you work with a professional brand strategist, you create a business that is bigger than you are. I highly recommend that you work through the branding process with an expert. Conclusion: So those are my expert opinions on the benefits of a business plan. If you haven’t looked at my package above, please do. I have done a lot of the work for you by creating a template and a course to help you write your own plan. Plus I have provided all my tools to help you create success in your business! Good luck!